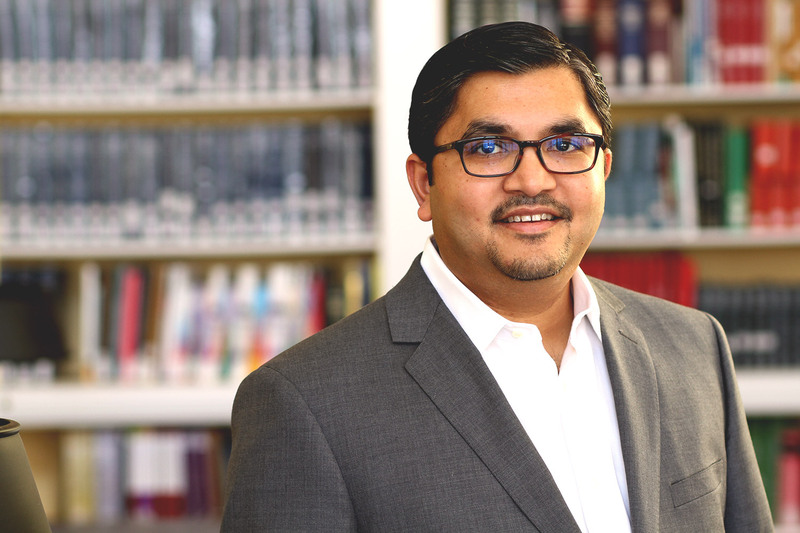 Rajkumar Venkatesan, a marketing professor in UVA’s Darden School of Business, explains how the concept of “Consumer Lifetime Value” is changing marketing – and challenging privacy – in the digital age. Companies like Netflix aren’t just interested in the $8 subscription fee that you fork over to access your favorite shows. They want to turn that relationship into a lifelong commitment. Netflix and other major companies are increasingly scrutinizing “Consumer Lifetime Value” – the total value a consumer will provide a firm from when they sign up to when they stop using a product or service. The metric has become more important in the digital age, as subscription services like Netflix or Spotify have proliferated. These companies, as well as traditional brick-and-mortar retailers, need data to identify which customers will keep coming back. They want to know who you are, what you like and even who your friends are, especially if your friends might also become customers. In return for this information, they offer perks designed to keep you happy – whether that’s movie suggestions tailored to your preferences or discounts on your favorite brand of detergent. This exchange can create a better customer experience, but it also raises significant privacy concerns. Rajkumar Venkatesan, a marketing professor in the University of Virginia’s Darden School of Business, has spent years studying how companies balance those priorities. UVA Today sat down with him to learn more about how companies’ emphasis on Consumer Lifetime Value impacts consumers and what might happen if companies decide to share all of that data. Q. How has digital technology driven companies’ emphasis on Consumer Lifetime Value? A. Digital technology has made it easier for companies to learn more about their customers. Even brick-and-mortar businesses like grocery stores now have loyalty programs that allow them to track what customers buy. Having that data available has shifted the focus from one-time interactions to lifetime interactions. Social media has also changed the way companies look at a consumer’s value. Customers are valuable not only for their own spending, but also for their social connections and how much they might spend. Q. How are companies changing their services to recruit and retain more lifetime customers? A. Recruiting is changing from just looking at how many customers a firm can recruit to focusing on getting the right kinds of customers, even if that means a slower sales process. Credit card companies have been doing this for a long time. They know that the person who picks up a telesales call might not necessarily be the best lifetime customer. Similarly, someone who responds to a discounted promotion is more likely to leave when a competitor offers a discount. Companies are shifting their focus from those who respond first to those who will be with them the longest. Usage creates retention, so companies try to make sure that you stay on their platform. Companies like Amazon or iTunes predict movies, songs or other products you will like based on past preferences. Airlines and hotels offer tiered services or exclusive deals to their best customers. Q. How do consumers benefit from this approach to marketing? A. Consumers today are enjoying services that are specifically tailored to their preferences. They are also seeing more rewards for increased spending. Spending more with a particular company unlocks goods or services that would not be available otherwise. Banks often give high-value customers better rates or financing options. In general, companies are coming up with ways to treat lifetime customers better. Q. What are some drawbacks for consumers? A. Privacy is the big drawback. In order to get these tailored services, you have to reveal a lot about how you use a particular company or service. In Europe, every country has their own web of privacy regulations, which makes it tricky for companies. The U.S. takes a more hands-off approach, because consumers do get good value and service for the information they provide. If the government restricts that more, consumers might be unhappy without the services they used to have. That is going to be a large debate going forward. Consumers might also become frustrated with a lack of variety. If subscription services tailor their offerings based on what you have liked before, you can lose the element of exploration, mystery or surprise. Humans are not robots – they change their minds often and want to try different things. Companies that are not creative with their offerings risk losing valuable customers. Q. Which companies do a great job using Consumer Lifetime Value to improve the customer experience and their bottom line? A. Netflix does it really well – not necessarily because of their price, but because of the way they organize their content. It is very specific to each customer, and the way they choose new content is based on their consumers’ viewing preferences. They go after shows that they know their best customers will want. ModCloth – an online clothing retailer – is another example that I am writing a case study about right now. They have a strong social media platform and have been able to build a culture around their clothes. Consumers come back to the platform to share their stories and write reviews. That creates community, which is another way to retain good customers. Dunia, a bank in Dubai, employs Consumer Lifetime Value to target its cross-sell offers. The bank has a unique identification number in its database for each customer, which allows it to track the customer’s interactions with the bank across product lines. This is especially important in the United Arab Emirates, since credit scores are not very robust there. The bank is able to allocate its sales force to customers with high lifetime values and not necessarily the ones most likely to respond to promotional offers. Q. What are some common errors companies make when basing marketing efforts around Consumer Lifetime Value? A. Taking the metric too literally is a mistake. It is very difficult to accurately know exactly how much a consumer will spend in the future. The metric should be more of a guideline, in terms of telling companies what kinds of consumers will be their best customers. Knowing those characteristics is more important than an exact dollar amount. Companies should also remember that Consumer Lifetime Value changes over time, as customers upgrade to new services or competitors come out with new products. Marketing is becoming more and more quantitative, but the most successful companies will balance that data-driven side with traditional creative marketing – creating a great experience for their customers. Q. How do you envision marketing strategies evolving to better account for a customer’s lifetime value? A. As the sharing economy grows – with more people crowdsourcing services – we could see more companies sharing data on their customer’s consumption. That could create good value for consumers because firms can provide customized services. However, there is also a lot of potential for abuse and privacy issues. For example, if Uber shared its passenger ratings with LinkedIn, employers could see if a potential employee was a good passenger, or if they had treated an Uber driver poorly. That could be helpful for the employer, but hurtful to the consumer. That will be the next big challenge in marketing. At least for now, companies are being very wary and careful about sharing their data, but that could change.